Nestled in the heart of Wash Park on dbl lot. 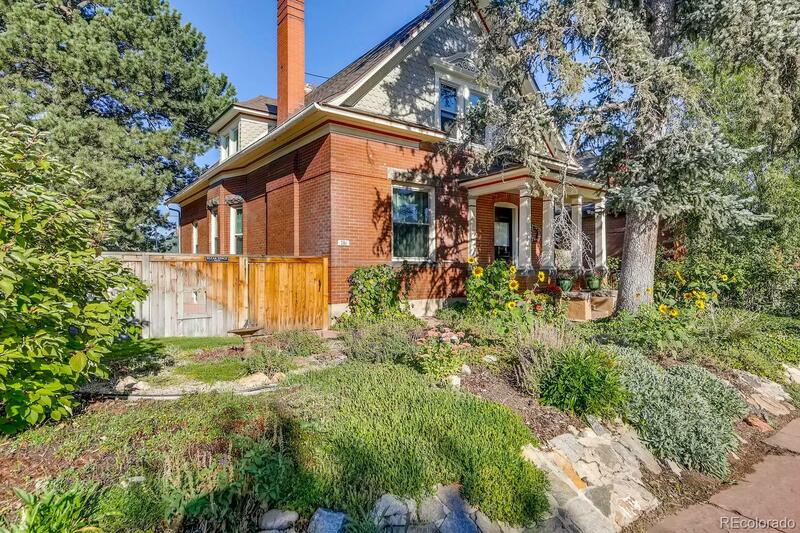 Charminig Victorian w/91/2' ceiings captures you at the entry w/original elements & significant updates. Formal living rm w/original frpl opens to beautiful dining rm w/original built-ins & bay window. Bdrm off dining rm is great for guests or office. Spacious kitchen w/custom stainless countertops, stainless appliances, & good storage. Expansive family rm w/large windows & French Door overlooks gorgeous patio, xeriscape garden/lush yard. 3/4 bath & laundry all on main level. Original staircase leads to 2 add'l bdrms & fully remodeled bathroom retreat w/Kohler soaking tub, separate shower and double sinks. Upstairs deck offers partial mountain views w/space to relax. Highlights continue w/new windows, new exterior paint, recently replaced roof, updated plumbing/electrical, Rennai tankless water heater, hot water baseboard heat, & 9-zone irrigation system. Close to Whole foods, Washington Park, Light Rail, coffee shops, restaurants & more !